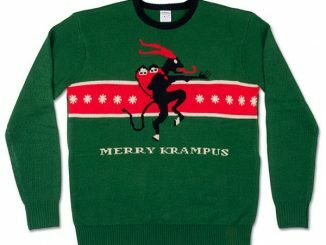 Knit holiday sweaters; you either love ’em or hate ’em. 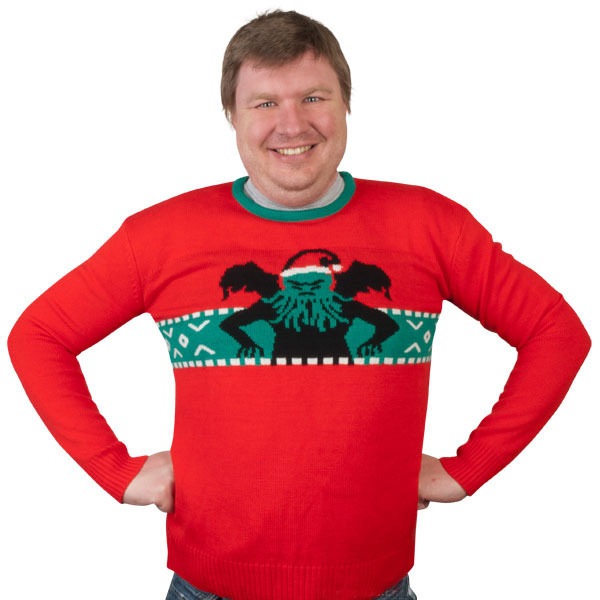 However, the Cthulhu Christmas Sweater is an atrocity that’s too funny to pass up. The model wearing this sweater is working it in a big way. 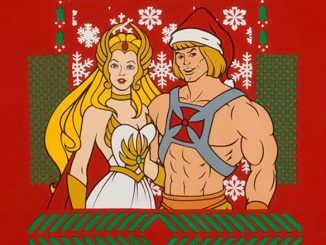 He is just radiating holiday cheer. 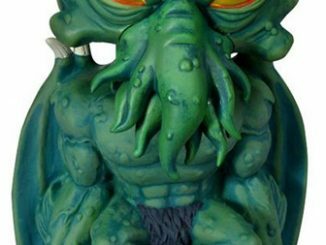 He’s like, “Ebenezer Scrooge and the Grinch have nothing on Cthulhu!” And he’s got that right, especially in a battle of which villain has the weirdest name with too many consonants or in a war of who has the ugliest face. 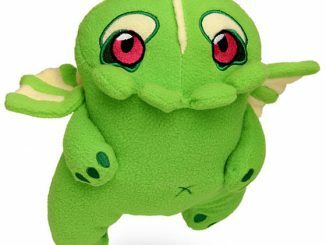 This is a limited quantity item! 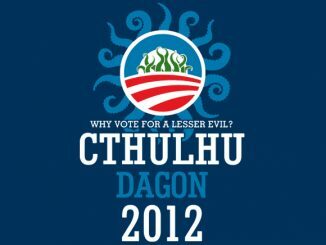 It’s Cthulhu in a Santa Claus hat done up in bright red and green colors on a one-size-fits-most sweater. 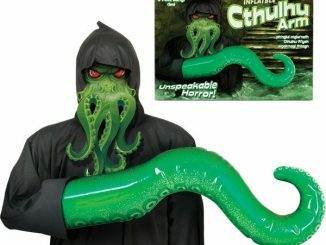 Wear this while you’re posing for Christmas photos with your family at the mall or buy a bunch and you and your friends can go Cthulhu caroling: “Cthulhu the malevolent entity, had a very tentacley face, and if you ever saw him, he’d take you to an extra-dimensional place.” This one size fits most sweater is sausage-skin-tight on a 2XX person and awkwardly loose on a medium frame. 100% Acrylic. 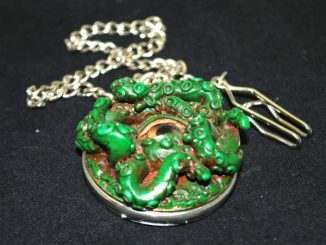 Buy it fast, these won’t last long! 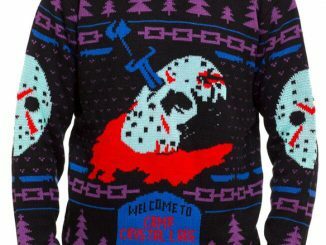 There are also two other big reasons why one should purchase the sweater immediately: it’s a limited edition and probably won’t be available the week before Christmas and it’s one size fits most, which means no returns are necessary. 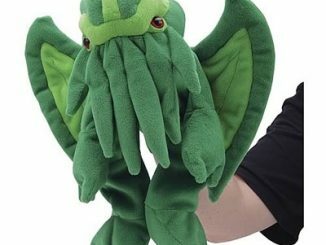 Re-gifting might be acceptable depending on the recipient. 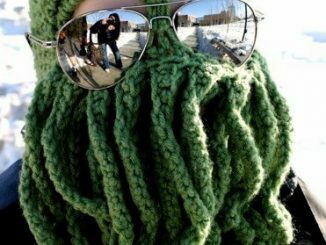 Granny didn’t knit this one, but she’d be one cool grandma if she did. 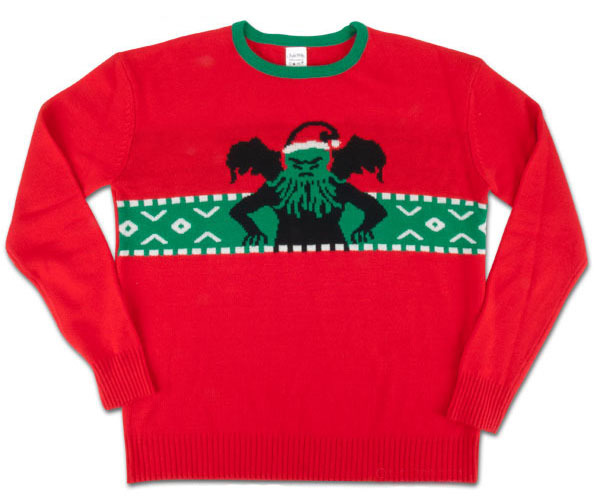 You can find the Cthulhu Christmas Sweater for$40 at McPhee.com. 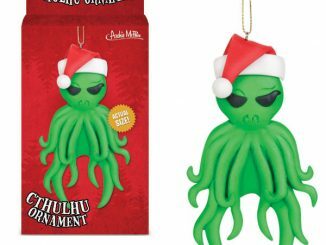 Also at the same store, you can find the Cthulhu Ornament to bedazzle your Christmas tree.